Acrylic is the perfect choice for a sophisticated, high-tech look. 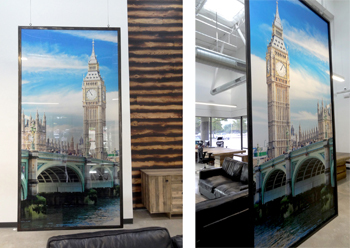 Great for office lobbies, trade shows & retail stores. We flame polish the edges to give the piece a finished look. The standard thickness is 1/4". Mount with standoffs to project off the wall and make it more noticeable. 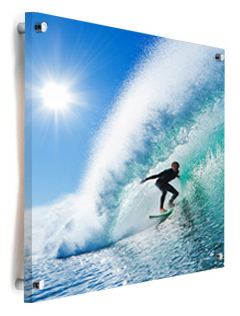 Take a look at our Acrylic Prints Portfolio here. 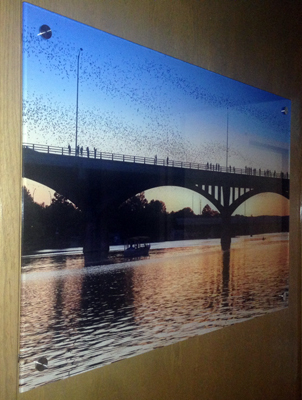 The image is printed on the back and viewed through the acrylic for an ultra high gloss print. A white layer is added after printing to make the image pop. 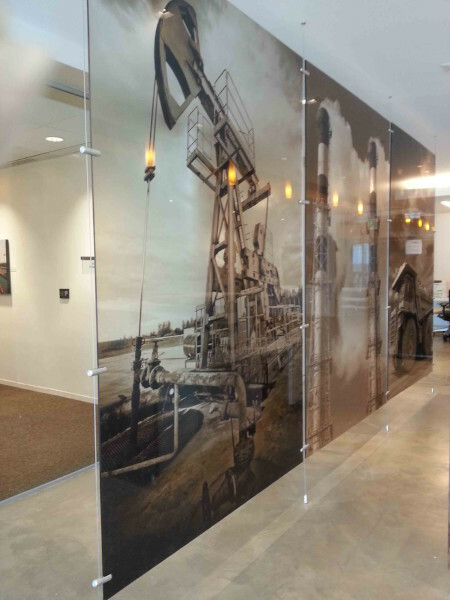 The image is printed on a translucent vinyl and applied to clear acrylic. Great solution if the acrylic will be viewed from both sides. The image is printed directly on clear acrylic without a white layer added.